Malorie Currier spent 15 years heading up Page1Design, Inc., an advertising agency in Westchester County, NY. Her firm represented residential developers, real estate agencies, the Board of Realtors, and the Westchester Home Builders Association. She was well-known and respected in the real estate, construction, and design industries. In 1991, she founded Page1Properties, a division of the parent company, which marketed real estate assets for Westchester County and for New York State banks. Malorie was pleased to return to Manhattan in 2001, refocusing on design. In the next decade, her company. completed over 300 apartment renovations, and she became a go-to resource for many contractors. Recently, in a merging of her two careers, Malorie found that her design clients were often eager to have her on hand to evaluate potential new residences for purchase or to enhance their properties prior to sale. Serving as a Broker as well as a Designer became the mission of the company. Thirty years of experience has been a good teacher of valuation, bidding strategies, negotiation, Board Package technique, financing, and other elements of a successful purchase. Malorie enhanced her skills with a new designation, Certified Negotiation Expert. A resident of the Upper East Side with her husband, Malorie is active in the community. Born in New York City, she is truly a native, having earned a degree from Hunter College and a Master’s Degree from NYU. Members of her family are likewise long-term Manhattan residents. Malorie welcomes an opportunity to get to know you as well. 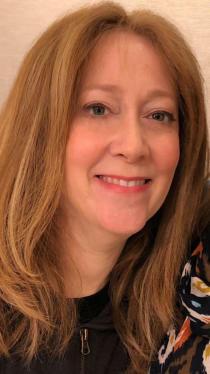 Kimberly Schlosser, a resident of Lenox Hill on the Upper East Side and previously of Turtle Bay, is a true information resource on New York City neighborhoods. Born in Manhattan, she has gained a broad knowledge base from public and private schools to recreation, shops, and transportation. After graduation from R.C.D.S. in Westchester County, Kimberly left to pursue her college degree in Washington D.C., where she attended George Washington University. After graduation, she continued her education at the University of Maryland where she earned a Master’s Degree in Social Work, a field that she practiced for many years. As a result of her training, Kim is an expert in people management, with insight into buyers’ and sellers’ motivations. She is skilled in problem solving and negotiating to “yes.” Clients find her eminently personable, thorough, and patient. As part of the Staging services offered by Page1Properties, Kim is also a talented space and storage organizer. Uncluttered apartments allow buyers to better visualize the residence as their own, and her arrangement skills truly help achieve this goal. Kim, her husband, and their children are immersed in New York culture, enjoying its extensive recreational and educational opportunities. Her commitment to our schools and her neighborhood has contributed to her career in real estate. As a Licensed Real Estate Salesperson, she is able to share her depth of local knowledge with her buyers. Kimberly brings a calming and confident influence to the home selling and buying experience. Malorie Currier, President of Page1Properties, spent 15 years heading up an advertising agency in Westchester County, NY, known similarly as Page1Advertising. Her firm represented residential developers, real estate agen- cies, the Board of Realtors, and the Westchester Home Builders Assn. 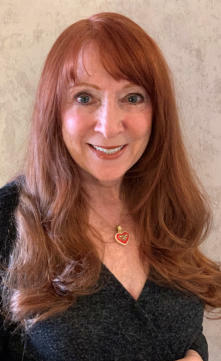 She was well-known in the real estate, con- struction, and design industries and well- respected as a professional, an employer, and an active member of the community. After 15 years in real estate advertising and public relations, Malorie founded a property valuation company and broker- age firm, known as Page1Properties. Working for banks throughout New York State, as well as federal and county gov- ernment agencies, the firm assessed the value of REO properties and handled their advertising and disposition. Born in New York City, Malorie was pleased to return to her roots in 2001, where her focus turned back to design. In the next 15 years, her company Page1Design, Inc. com- pleted over 300 apartment renovations. Specializing in kitchens and bathrooms, her services expanded into full apartment and combined apartment concepts, She became a go-to resource for many contractors. In an eventual merging of her two careers, Malorie found that her design clients were often insistent that she be on hand to evaluate potential new residences. Serving as their Broker helped her clients both identify appropriate proper- ties and see how they might enhance their function, beauty, and resale value. This service came to form the mission of the company. Thirty years of experience was a good teacher of valuation, bidding competition, negotiation, Board strategies, financ- ing, and other elements of a successful purchase. A resident of the upper east side with her husband and rescue dog Precious, Malorie is an active neighbor and friend. She is truly a native, having earned a B.A. from Hunter College and a Master’s Degree from NYU. Her children are likewise long-term City residents. Malorie welcomes an opportunity to get to know you as well.